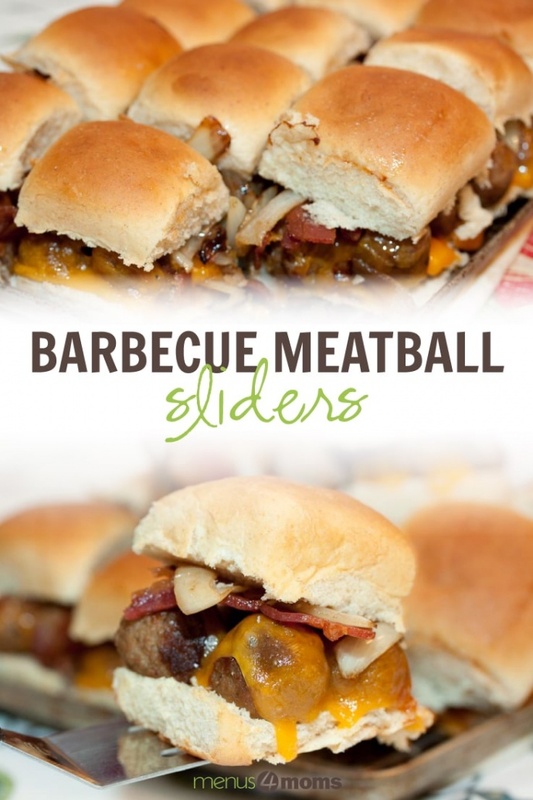 Inspired by the Smoky Mesquite BBBQ Meatball Cheddar and Grilled Onion Sliders on Food, Family & Finds, this version of these delectable treats uses frozen meatballs for quicker prep time. 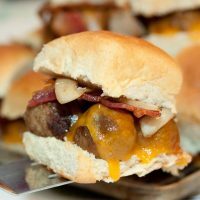 Smaller meatballs make the sliders messier, so forks might be in order. 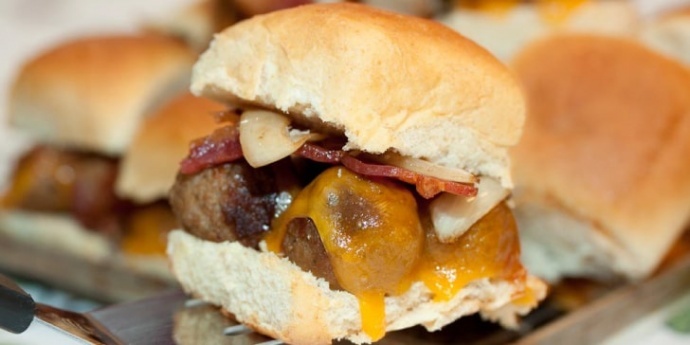 You can use purchased frozen meatballs or our bulk meatball recipe for these tasty sliders. Heat meatballs in pan by frying until browned and heated through. Fry bacon until crispy over medium-high heat (add a little oil if needed). Remove bacon from skillet, leaving the grease in the skillet. 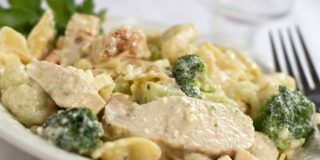 Add onions to the skillet, reduce heat to medium, and sauté until tender. Cut rolls in half and add meatballs to the bottom portion of each roll. Brush tops of each roll with BBQ sauce. Add piece of cheese, bacon bits, and sautéed onions to each meatball. 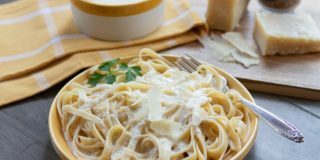 Place under broiler next to the roll tops for 2-3 minutes until cheese is melted. Place tops of rolls on each meatball and serve.